Are you thinking of purchasing a new electric dryer? 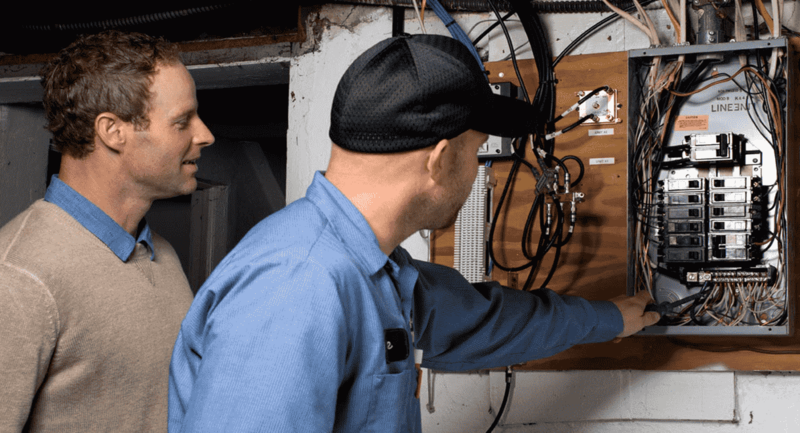 Having an Edison Electrician look at your electrical system prior to adding any larger appliances is a good idea! In the meantime, here are a couple things to consider before moving that electric dryer into place. If you are converting from a gas to electric dryer, you will need a 240 volt circuit installed for the new dryer. All new dryer circuits must be of the 4-wire type with the ground wire separate from the neutral wire. have open spaces available in your electrical panel, when in reality there are none. The opposite also applies. Some electrical panels look full when in reality they are not. Have Edison come out and look things over before you write a check for that new electric dryer; we will eliminate any unwanted surprises. If you are replacing your old electric dryer with a newer electric unit, you will need to verify the style of cord to have installed on your new electric dryer. You will need either a 3-wire or a 4-wire cord depending on your existing electrical circuit. Make sure the new cord is long enough to reach your electrical outlet! Usually, when purchasing a brand new dryer, the appliance store salesman will help you determine which type of cord you will need installed on your dryer. They will even offer to install it for you at no extra charge. Be careful with this proposition though – most cords we see installed by the appliance guys do not have the proper strain relief connector installed. This can create a major problem down the road, so be sure to validate proper cord connection.